AMES, Iowa —Iowa State University is honoring an agronomy professor with the title of Global Professorship in Biotechnology. Kan Wang was presented with the professorship at a medallion ceremony Oct. 6 by Wendy Wintersteen, endowed dean of the College of Agriculture and Life Sciences. Wang is the fourth faculty member to hold a Global Professorship in the College of Agriculture and Life Sciences. These professorships are meant to recognize faculty members’ international contributions. The other Global Professors are David Acker, Raymond and Mary Baker Chair in Global Agriculture, and associate dean for academic and global programs; Gail Nonnecke, Global Professor in Global Resource Systems in the Department of Horticulture; and Tom Brumm, Mary and Charles Sukup Global Professor in Food Security in the Department of Agricultural and Biosystems Engineering. 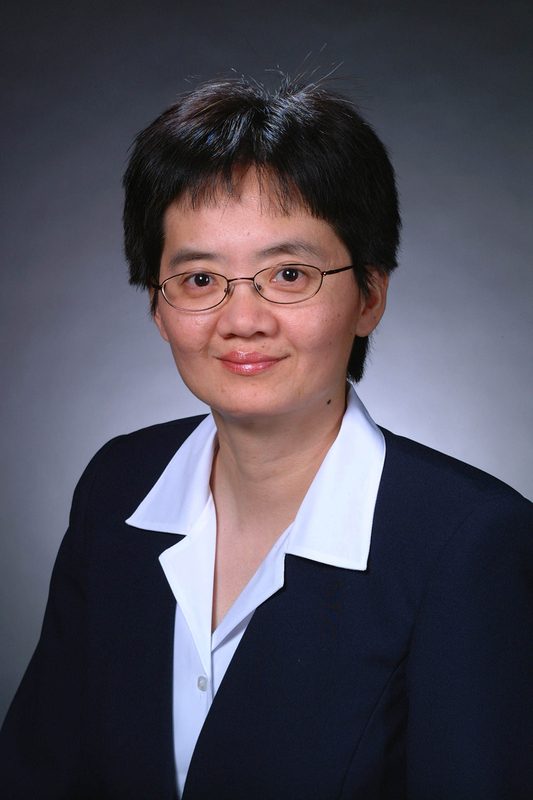 Wang has directed Iowa State’s Plant Transformation Facility since it was created in 1995. It was established as one of the first public facilities to provide crop genetic transformation services for academic researchers globally. Under Wang’s leadership, the Plant Transformation Facility provides expertise and service in genetic transformation of corn, soybeans and rice. It develops innovative transformation technologies, and serves as a training ground for scientists and students. The facility has served 37 university scientific groups, and more than 180 research groups from 135 institutes in 18 countries. Wang has consulted with international organizations including, the Bill and Melinda Gates Foundation, the Malaysia Oil Palm Board, China’s Institute of Food Crops and the International Consultative Council of AgroBioInstitute in Bulgaria. She has hosted scientists visiting from foreign countries and made numerous invited presentations at scientific meetings and research institutions around the world. Wang was the recipient of the 2015 Iowa Women of Innovation Award for Research Innovation and Leadership for her soybean transformation method. This invention also earned her the 2017 Iowa State University Award for Achievement in Intellectual Property. Wang was elected a fellow by the Society for In Vitro Biology in June. Wang’s research has been recognized by the American Society of Plant Biologists in its Milestones in Plant Science for her nanoparticle delivery of DNA and chemicals into plant cells. Wang also serves as co-director of Iowa State’s Crop Bioengineering Center, a group of faculty with research interests in crop genome editing. Wang’s current research continues to explore new biotechnology tools of importance to agriculture. She and her colleagues are working to develop a suite of technological tools that could allow scientists to develop yams with improved yields, nutritional value and better resistance to stresses. Yam is a major source of dietary starch for smallholder farm families in many tropical and sub-tropical countries. The research is funded by the National Science Foundation. Wang also is developing innovative genome editing technology for crops with colleagues at Purdue University and the Samuel Roberts Noble Foundation, funded by another National Science Foundation grant. With USDA National Institute for Food and Agriculture funding, Wang and her co-investigators are working to develop and improve design tool that can reduce mutation frequencies on unintended DNA sequences (off-target effects) in plant genome editing. Wang earned a bachelor’s degree in biochemistry from Fudan University in China in 1982 and a doctorate in biology from the University of Ghent in Belgium in 1987.